Get a free Puff Candy sample. Click the link below to go to the website to get your free sample. 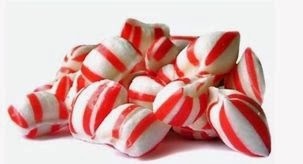 They would like to introduce you to their candy with a free sample of their classic "Peppermint Pop" puff candy. This sample is while supplies last, limit one puff candy sampler pack per household, over 18 years of age, USA only. They have other flavors besides peppermint I didn't know that. Ya learn something new everyday I guess lol.